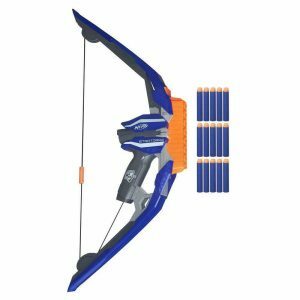 Nerf N-Strike StratoBow Bow for $23.99 !!! Head on over to checkout this , Nerf N-Strike StratoBow Bow for $23.99 !!! Take aim with the real bow action of the high-capacity StratoBow dart-firing bow! This Nerf N-Strike bow has an integrated 15-dart clip that automatically indexes to the next dart. Cuisinart CJE-500 16 Oz. Compact Juice Extractor, Black Wrinkle for only $48 + FREE shipping !!! reg price $100!! Intex Seahawk 2 Inflatable Boat Set With Oars And Air Pump for just $39.99 + FREE shipping !!! reg price $100!! esonmus 20 Pack Multi-Use Heavy Duty Scrub Sponge Extra Thin Magic Cleaning Sponges Eraser Sponge for only $6.99 !! !